In normal circumstances tissue fluids that are located in between the cell spaces are moved by the lymphatic system to prevent build up. In the event of the lymphatic system not functioning as it should, fluid can build up causing edema. In severe cases it can lead to lymphedema. Causes of lymphedema can include being born with an inherited disposition to it as well as other causes such as accidents, surgery and side effects of drugs. Parasitic infection, however, is the most common cause. Lymphedema can occur both in arms and legs and swelling in the arms is one of the side effects of post breast cancer treatment. Western medical treatment can include compression bandages and surgery. Severe lymphedema can lead to infection. Can acupuncture treatment be used for fluid up? Traditional Chinese medicine theory has a number of causes or imbalances that may contribute to edema or lymphedema. This includes the spleen, the kidneys and even the lungs. There are a number of acupuncture points that have the historical recorded use being of benefit to treat swelling and fluid accumulation. One such point is yinlingquan which translates as yin mound spring located below the knee and is commonly used for swelling of the lower limb and retention of urine. Has there been any modern research on acupuncture and lymphedema? How is the traditional concept of yin and yang involved in lymphedema? If the spleen and kidney organs become yang deficient, the body becomes affected by cold which then hinders the proper circulation of fluids. Other symptoms may include cold limbs or sensitivity to cold on the lower back and this coldness can then make the urine become scanty and clear. What about the limbs in lymphedema when they become swollen and purple? From a traditional Chinese medical perspective, stuck energy as a result of slowed down and blocked fluids can leads to a condition known as blood stagnation. This can cause purple discolouration or purple swollen veins and other seemingly non related symptoms such as dry skin on the heels. Acupuncture treatment, in these cases of blood stasis, would use specific acupuncture points to promote blood circulation or what has been translated as treatment to quicken the blood. What about moxibustion, can that be used in the treatment of lymphedema? 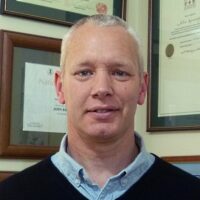 We ask Alan Jansson, well known traditional meridian therapy acupuncturist working on Australia’s gold Coast. He says “We can look at this quite simply. Lymphedema is a build up of water, that is regarded as yin accumulation. Too much yin will require fire to dissipate it. Just as we might boil water to get rid of it, we use the heating application of moxibustion to dissipate the fluids. A specialised moxibustion technique known as chinetsu may be an option, where small cones of the herb mugwort are placed on the skin and heated promoting circulation in the area“. 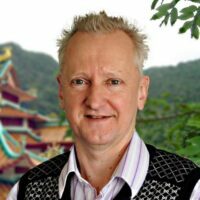 Heiko Lade and The Acupuncture Clinic will be organising Alan Jansson to visit Auckland in February 2017 for a 2 day intensive Japanese acupuncture workshop.